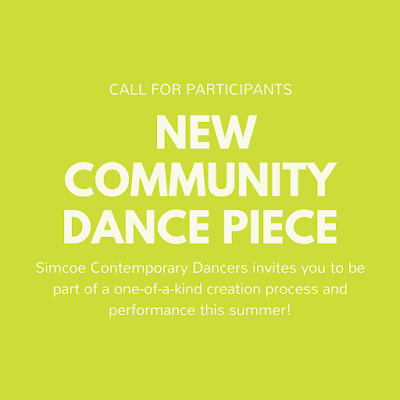 Simcoe Contemporary Dancers invites you to be part of a one-of-a-kind creation process and performance this summer! 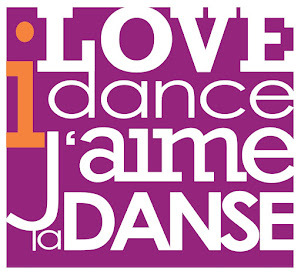 We are looking for people of all ages and experience levels to join us in creating and performing a dance piece that uniquely belongs to our community. The piece will be part of Dusk Dances Barrie, with the possibility to perform it again at Illuminate Barrie! Everyone is welcome. All ages. All experience levels. There is no fee to participate. We simply ask that children under the age of 10 be accompanied by an adult. It is expected that participants attended 5 of the 6 rehearsals minimum. Additional rehearsals may be scheduled to accommodate for inclement weather. 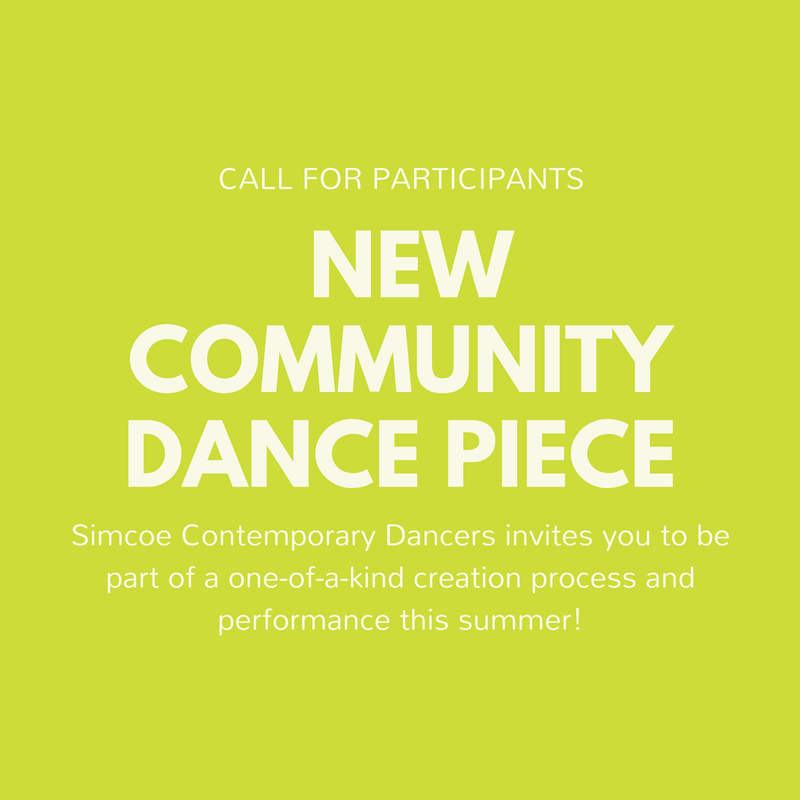 The movement material will be co-created by participants and members of Simcoe Contemporary Dancers and developed to highlight each performer’s strengths. We have also been invited to be part of Illuminate Barrie on September 2 & 3! Participation in the September performances is optional please indicate on the form if you are available to be part of these extra show dates. This project is made possible in part by the Government of Canada and The City of Barrie.